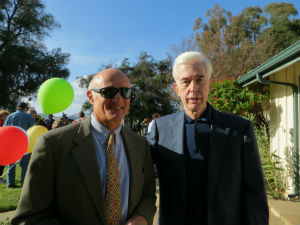 Frank Angel with former Governor Gray Davis at the celebration of the ten-year anniversary of Ahmanson Ranch’s public acquisition as wildlife refuge and public park, Sunday, November 17, 2013. Ten years ago, Angel Law represented the City of Calabasas in complex environmental and land use litigation involving six public agencies and several environmental organizations, including the Natural Resources Defense Council, as plaintiffs. This litigation consisted of consolidated legal challenges to the County of Ventura’s approval of the first phase of the Ahmanson Ranch Specific Plan, a project proposing a sprawling new town with 3,050 residences, 150,000 square feet of commercial space, 250,000 square feet of office space, two 18-hole golf courses, a 300-room hotel and various institutional uses, on approximately 2,800 acres in southeastern Ventura County, located near the northern edge of the Santa Monica Mountains National Recreation Area. The project was the largest development plan ever approved by Ventura County. Frank served as the City of Calabasas’ lead counsel for its claims under the California Environmental Quality Act (CEQA). Calabasas was itself the lead plaintiff in the litigation challenging the project. After the plaintiffs filed a 100-page long opening trial brief, the case settled. 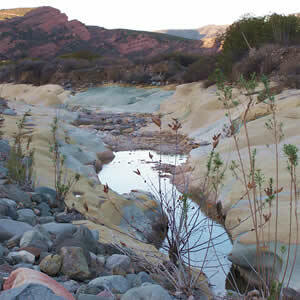 The settlement resulted in the acquisition by the State of California of the entire ranch property. Now known as the Upper Las Virgenes Canyon Open Space Reserve, the land is preserved in perpetuity as a wildlife refuge and public park.